or loathe anyone because of appearance alone. but what it produces is the best of sweet things. and his works are concealed from humankind. but one who was never thought of has worn a crown. and the honored have been handed over to others. examine first, and then criticize. and do not interrupt when another is speaking. and do not sit with sinners when they judge a case. if you multiply activities, you will not be held blameless. and by fleeing you will not escape. but are so much the more in want. to the amazement of the many. poverty and wealth, come from the Lord. and his favor brings lasting success. until he leaves them to others and dies. and grow old in your work. 9:13 Then the sixth angel blew his trumpet, and I heard a voice from the four horns of the golden altar before God, 14 saying to the sixth angel who had the trumpet, “Release the four angels who are bound at the great river Euphrates.” 15 So the four angels were released, who had been held ready for the hour, the day, the month, and the year, to kill a third of humankind. 16 The number of the troops of cavalry was two hundred million; I heard their number. 17 And this was how I saw the horses in my vision: the riders wore breastplates the color of fire and of sapphire and of sulfur; the heads of the horses were like lions’ heads, and fire and smoke and sulfur came out of their mouths. 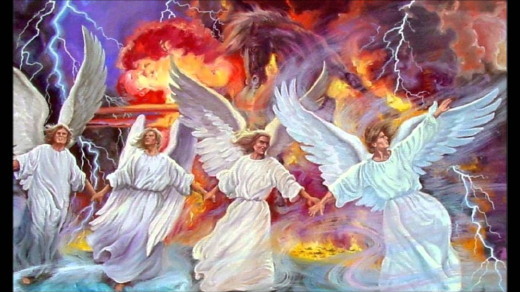 18 By these three plagues a third of humankind was killed, by the fire and smoke and sulfur coming out of their mouths. 19 For the power of the horses is in their mouths and in their tails; their tails are like serpents, having heads; and with them they inflict harm. 20 The rest of humankind, who were not killed by these plagues, did not repent of the works of their hands or give up worshiping demons and idols of gold and silver and bronze and stone and wood, which cannot see or hear or walk. 21 And they did not repent of their murders or their sorceries or their fornication or their thefts. The Bible texts of the Old Testament, Epistle and Gospel lessons are from the New Revised Standard Version Bible, copyright 1989 by the Division of Christian Education of the National Council of the Church of Christ in the USA, and used by permission. For the riches and fullness of our lives we praise You, O Lord. Your gift of life is precious, and even when surrounded by evils of all kinds, we acknowledge Your goodness to us. This goodness we have experienced in the unbounded mercy You showed us in Your dying and rising for us. We encounter it in the signs of Your presence and care in even the tiniest blessings of daily life. Forgive us our all too frequent failures to recognize Your gift of life in all its many facets. Forgive us for tarnishing the lives of others through thoughtless actions and the hurts we cause them. Instead, make us agents of Your enrichment of their lives and witnesses to Your salvation. 2 Timothy 3:16-17 (NIV) All Scripture is God-breathed and is useful for teaching, rebuking, correcting and training in righteousness, so that the servant of God may be thoroughly equipped for every good work. Oísteis que fue dicho: No cometerás adulterio. Pero yo os digo que cualquiera que mira a una mujer para codiciarla, ya adulteró con ella en su corazón. 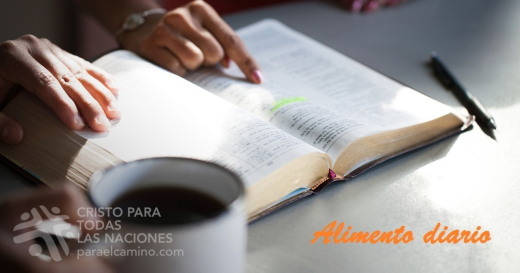 Dios es bien radical con el problema del «adulterio». Desea y ordena que seamos hombres y mujeres de una sola pareja. No acepta bajo ninguna razón tener otras relaciones aparte del cónyuge. Sabemos que este es un veneno que mata los matrimonios y que cada vez más se filtra en las iglesias. Por lo tanto, nosotros tenemos el llamado a cuidar los hogares, a huir de la tentación, pasar tiempo de calidad con nuestra pareja y tener muchísima comunicación. La clave de todo esto es tener a Jesús en el hogar como base. Además, la oración individual y en pareja es una bendición y es la manera de cubrir nuestro hogar. Recuerda que no vale la pena que por un momento de placer o por una aventura se arroje por la ventana el matrimonio y los hijos. Sobre todo, que tengamos que vivir las consecuencias por nuestros actos donde el juez supremo es Dios. Aunque tanto el hombre como la mujer tienen la responsabilidad del matrimonio, Dios le va a pedir cuentas al hombre que es la cabeza del hogar. Si tiene la autoridad, tiene mayor responsabilidad ante Él. Busca a tu pareja, reconcíliate con ella y arregla tus cuentas con Dios. Sabemos que este es un veneno que mata los matrimonios y que cada vez más se filtra en las iglesias. When Tahir Iqbal, a direct descendant of the prophet Mohammad, became ill and paralyzed from his waist down as a young adult, his family abandoned him. It would be a foretaste of things to come. Christians befriended him and he gave his heart and life to Jesus. Tahir was quite bold about his new found faith and this stirred up the anger of the imam at the mosque. The imam started a slander campaign against Tahir, which resulted in a Police rescue on December 7, 1990 when a crowd of Muslim extremists were out to murder him. When his pastor was notified of his death, he went to the prison. It turned out that Tahir’s stepmother had already arrived to claim the body. Members of the church inquired the next day and to their shock they were informed that Tahir had been buried already. His stepmother had received and taken the body without a post-mortem. In less than 36 hours after his death Tahir received an Islamic burial ceremony performed by the same Muslim cleric who had demanded the death penalty. Now he praises his Savior in heavenly glory, where all tears have been wiped away. RESPONSE: Today I reaffirm my commitment to follow Jesus even if none go with me. PRAYER: Lord, be with my brothers and sisters suffering unjustly in Pakistan today under the blasphemy law. Standing Strong Through The Storm (SSTS), a daily devotional message by SSTS author Paul Estabrooks. © 2011 Open Doors International. Used by permission. His work: A career fisherman on the Sea of Galilee. His character: Peter was a determined and impetuous man who became bold in his witness to the resurrection of Jesus Christ. His sorrow: Like many impulsive people, Peter's greatest enemy was his mouth—speaking without thinking. This landed him in all kinds of trouble. His triumph: The leadership of the disciples, the spread of the gospel to the Gentiles, and his martyrdom for the Savior he loved. Simon Peter had heard about Jesus. Living close to the Sea of Galilee, as Peter did, it would have been hard to miss him. But Peter's career kept him busy. Being distracted by the Teacher wouldn't be good for business. Then one morning, as Jesus walked along the shore with the usual crowd of people surrounding him, he stopped and, without warning or permission, stepped into Peter's boat. 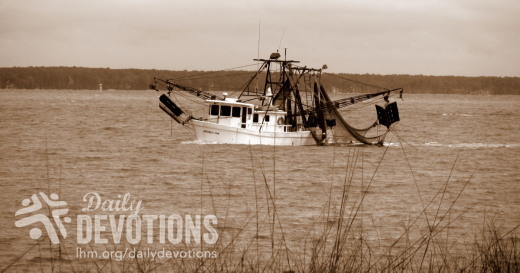 Imagine the fisherman's shock when Jesus said to him, "Push out into the deep and drop your nets." "But, Master," Peter protested, surprised that Jesus knew his name. "We've been up all night fishing and haven't caught anything." Jesus turned to look at Peter with a glance that for the next three years would become familiar. "Okay," Peter sighed. "Because it's you, I'll do it." The moment the nets drifted below the water's surface, they filled with fish. Peter called for a second boat. But the nets were so full of fish that both boats nearly sank. Suddenly Peter made the connection between the miracle and his own wickedness. "Go away, Lord," he pleaded as he fell to his knees. "I'm a sinful man." The Master must have instantly bonded to this rough but tenderhearted fisherman. "Don't be afraid, my friend," Jesus said to him. This may have been the first time anyone had ever said these words to this brave man. Then Jesus added, "Follow me." The most outspoken and visible of Jesus' disciples, Simon Peter was a remarkably complex man. He was impulsive, brash, thickheaded, courageous, tough—and fearful. But there was a special place among Jesus' closest followers for this man. We have no record of there being an election of officers, but the gospel writers put Peter's name first when they list the disciples. He was their designated leader. And there was a special place in Jesus' heart for Peter as well. He was the only disciple who received a new name—a nickname. "Blessed are you, Simon son of John," Jesus announced to him one day. "Now you are Peter, and on this rock I will build my church. And against my church, the gates of hell don't have a chance." But like the man who carried the name, the word rock had many faces. Certainly there was the kind of rock that provided stability—bedrock on which the church was to be built. But there was the rock that represented shallowness—an impediment for the seed to grow. There was the rock that got in the way of progress—the stumbling stone of offense. And there was the rock that was many Jews' weapon of choice. And in a contemporary setting, rock sometimes refers to a precious gem. Jesus couldn't have given Simon a more appropriate moniker. But any instability that marked the man prior to Jesus' resurrection was permanently erased once he touched the risen Savior and heard his call once more: "Follow me!" It was Peter who stood at Pentecost and preached a radical conversion message. It was Peter who, like his Lord, healed the sick—even his shadow had healing power! It was Peter who confidently stood before the antagonists in the Sanhedrin, the same men who later murdered Stephen. "Salvation is found in no one else but Jesus," he declared. "There's no other name under heaven by which we must be saved!" It was Peter who was singled out for an extremely unpopular assignment—to take the message of salvation to non-Jews. Peter, whom King Herod imprisoned for his refusal to stop preaching the Good News, was miraculously set free by an angel. And it was Peter whose death, Jesus said, would "glorify God." While ministering in Rome, Peter was arrested by Nero and was later tried and crucified. However, unwilling to be killed in the same sacred way his Master had died, Peter requested that he be crucified upside down. His wish was granted, and God was glorified. Praise God: For his love. Offer Thanks: For the wonder of a Savior who meets us where we are and transforms us by his Spirit. Confess: Your inconsistency in wanting to follow him but so often neglecting to be his unfailing and faithful ambassador. Ask God: For the will to be in his presence daily and to find in that encounter his redeeming power. Today's reading is a brief excerpt from Men of the Bible: A One-Year Devotional Study of Men in Scripture by Ann Spangler and Robert Wolgemuth (Zondervan). © 2010 by Ann Spangler. Used with permission. All rights reserved. Enjoy the complete book by purchasing your own copy at the Bible Gateway Store. The book's title must be included when sharing the above content on social media. Like many impulsive people, Peter's greatest enemy was his mouth—speaking without thinking. This landed him in all kinds of trouble. For if you forgive other people when they sin against you, your heavenly Father will also forgive you. But if you do not forgive others their sins, your Father will not forgive your sins. The longing of a dying mother’s heart. A wish that only one person could have satisfied. But he didn’t. If you’ve read any of my books, you know that my childhood was a cauldron of violent arguments, alcohol-induced rage, and physically terrifying fights. As a child I saw things that a child should never see and heard things that a child should never hear. My parents were a mess. Their kids were even messier. But God—my two favorite words in the Bible. I met Jesus in a powerful way when I was fourteen years old, my mom followed when I was seventeen, and my mean old dad accepted Christ when I was twenty. Our family was a portrait of mercy and grace painted by the hand of an all-loving God. A lot of forgiveness took place over the next thirty years as God reshaped and remolded once hardened hearts. But not everyone received the gift. Some held it at arms length and said, “No thanks. I’m hanging onto my hate.” Some chose to cling to unforgiveness and grasp resentment with a tight unrelenting fist. And the gift of grace was refused. My mom did not get her final wish…to see one of her children one last time. I was sad for her, but mostly, I was sad for him. He missed the blessing of seeing the miracle of Mom’s gentleness, Mom’s humble kindness, Mom’s overflowing love for her family. He missed the preciousness of her final days. Friend, I don’t want you to miss out on a single blessing God has for you. Not a one. Nothing will block the flow of grace like an unforgiving heart. Unforgiveness is drinking a poison and waiting for the other person to die. Forgiveness is setting the prisoner free and realizing the prisoner was you. How many times do we miss out on God’s abundant blessings because we hold onto the pennies? I am struck with the words of Paul to the Colossians: “Forgive as the Lord forgave you” (Colossians 3:13). Forgiveness is not for the benefit of the person who hurt you. It is for the benefit of the one doing the forgiving. I don’t want you to miss out on a single one of God’s blessings. Let go of unforgiveness. Grab hold of grace. Be free. Lord, thank You for forgiving me. I don’t want to miss out on any of the blessings You have for me because of a hardened heart. Today I forgive _________ for __________ once and for all. Even though I don’t feel like it, I am obeying Your command. I am letting go of this penny and coming to You with an opened hand to receive all You have for me. What do you learn about forgiveness from this parable? Which person in the story do you want to be like? The devil is a liar. He is the one who tells us that we can’t forgive the person who hurt us. But we’re not going to let him win. We are going to replace that lie with God’s truth! Do the voices in your head tell you that you are not good enough, smart enough, pretty enough, or just not enough, period? If so, it’s time to stop listening to the lies that sabotage your confidence and start embracing the truth of your true identity in Christ. It’s time to overcome the lies of the enemy with the promises of God. Join me in the Enough: Silencing the Lies that Steal Your Confidence Bible study beginning Oct 9-Nov 26. Click here to sign up! LHM Daily Devotions - How Do You See Jesus Christ? "How Do You See Jesus Christ?" For this reason He had to be made like them, fully human in every way, in order that He might become a merciful and faithful high priest in service to God, and that He might make atonement for the sins of the people. Because He Himself suffered when He was tempted, He is able to help those who are being tempted. I was watching a group of gardeners working. They were really energetic in their cutting, clipping trimming, watering, sweeping. They had good equipment and used it efficiently. There were six of them working on a sizable estate. Each seemed to know what he was to do. They were all about the same age. They stopped work once to rest and drink some water. They kidded each other and laughed a lot. They seemed to enjoy each other's company. One of the six was obviously the leader. When he got up, they all did, and sometimes with a wave of the hand or a word or two he would direct the work of the others. 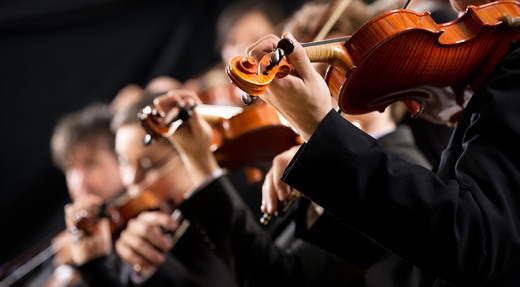 Here was a band of men, not unlike many other groups of men or women, working together, feeling comfortable with each other, and enjoying what we sometimes call fellowship. I think Jesus and His disciples were like that. I think they laughed together, told jokes, argued a little, kidded each other. I think they were comfortable with each other most of the time. They were real human beings. It seems to me that too often we find it difficult to accept Jesus and His disciples as real men. We visualize them as clean-clothed men, always sober and intent, following a Leader who held them with some mysterious spiritual charisma and who was continually speaking to them of Himself and His Father. I'm certain that was so, but I'm grateful for impetuous, bragging, loud-mouthed Peter because I'm like that much of the time. I'm not surprised at Thomas who doubted the "story" that Jesus was alive. I probably would have shook my head, too, and said, "I can't believe that." And I probably would have reacted as Andrew did when a few fish and loaves of bread were all that was around to serve 5,000 people. I think I would have been afraid in that boat, too, when the waves were so high. I know I sink when the waves of life seem so big. The point is that because these men were real live men, acting and living as men, I can associate with them. Also, because Jesus was a real live man I feel that He knows all about my weakness and stumbling and bumbling. Because He accepted those ordinary men as His followers, He will accept me and help me. That makes Him the greater Lord -- the God that He also is. THE PRAYER: Jesus, because You lived among us as a man and experienced the life we know, we can completely identify with You -- as You did with us. Thank You for "walking in our shoes" as our best Friend and our Savior. In Your Name we pray. Amen. From The Lutheran Layman, June 1981 issue, "How Do You See Jesus Christ?" by Jon Suel. Use these devotions in your newsletter and bulletin! Used by permission; all rights reserved by the Int'l LLL (LHM). Because these men were real live men, acting and living as men, I can associate with them. Pero recuerden esto: El que poco siembra, poco cosecha; y el que mucho siembra, mucho cosecha. Una vez, el propietario de una gran hacienda le dio a su jardinero algunas rosas para que éste le llevara de regalo a su esposa. Pero las flores nunca le llegaron a quien estaban destinadas. Aquella tarde, cuando estaba en el autobús, el jardinero se sentó junto a una viuda, quien le contó sobre su desolación. Sabiendo que su esposa entendería, él le dio las rosas a esa viuda solitaria, alegrándole así el día. Pero la viuda tampoco llegó a su casa con las rosas. Cuando estaba en la tienda haciendo compras, se encontró con una pequeña niña que lloraba porque su mamá estaba muy enferma. "Toma," le dijo la viuda, dándole las flores. "Dáselas a tu mamá, y dile que voy a rezar por ella." Contenta y agradecida, la niña marchó a su casa con las flores para su mamá. Las rosas animaron a la enferma, quien contemplándolas desde su cama, pensaba: "son demasiado bellas para no compartirlas". Al día siguiente, cuando su pastor fue a visitarla, le dijo: "Quisiera que lleve estas flores a la iglesia." El pastor las colocó en el santuario, donde la congregación entera las podría ver y disfrutar. Después del servicio de adoración, el pastor repartió las rosas entre los presentes. La belleza de las flores fue apreciada una vez más antes que se marchitaran. El poema que dice que "Las flores dejan su fragancia en las manos de quien las da", es muy acertado. Cada buena acción, cada desinteresada gentileza, cada obra bien intencionada que brota de un corazón lleno de fe -un corazón tocado por la abundancia que el Señor ha otorgado libremente- tiene la capacidad de bendecir al que da y multiplicar el regalo. Como el efecto ondeante de una piedra lanzada al agua, los círculos que emanan pueden alcanzar muchas orillas lejanas. Así también es con el mayor amor de todos. La obra redentora de Jesús en la cruz nos llega a través de la palabra de Dios. Por el poder santificante del Espíritu Santo, somos hechos limpios de mancha y aceptables a Dios a través de la fe en la salvación que Cristo ha ganado para nosotros. La fragancia de Dios, el perfecto sacrificio de su Hijo, es ofrecida a todos y es gratis. Compártala cada vez que se le presente una oportunidad. ORACIÓN: Padre celestial, te doy gracias por tu amor. Ayúdame hoy y siempre a tener el coraje para compartir esta verdad. En el nombre de Jesús. Amén. Autor:Pastor Charles Bameka - Uganda. © Copyright 2018 Cristo Para Todas Las Naciones. Que a través de estos devocionales, la Palabra de Dios te refresque en tu diario caminar. Una vez, el propietario de una gran hacienda le dio a su jardinero algunas rosas para que éste le llevara de regalo a su esposa. Pero las flores nunca le llegaron a quien estaban destinadas. Мої батьки привчали мене любити всі музичні жанри – від кантрі до класики. Тож, моє серце калатало у грудях, коли я увійшов до Московської консерваторії – одного з найвідоміших концертних залів Росії, – щоб послухати Московський державний симфонічний оркестр. Коли музиканти під керівництвом диригента дуже майстерно виконували один із творів Чайковського, музичні теми поступово вилились у могутнє крещендо. То був чарівний момент: публіка у захопленні аплодувала стоячи. Святе Письмо має наймогутніше крещендо в історії, кульмінацією якого є смерть та воскресіння Ісуса Христа. Відразу після того, як у Едемському саду Адам та Єва впали в гріх, Бог пообіцяв прихід Спасителя (Бут. 3:15). Ця обітниця гучно звучала в жертвоприношенні пасхального агнця (Вих. 12:21), в надіях пророків (1 Петр. 1:10) та сподіваннях Божого народу. 1 Івана 4:14 незаперечно вказує напрямок руху Божої історії спасіння: “І ми бачили й свідчимо, що Отець послав Сина Спасителем світу”. Як саме вказує? Бог виконав Свою обітницю і послав Свого Сина, щоб Він вмер, воскрес і відновив наші стосунки з Творцем. Одного дня Він повернеться і відновить все творіння. Коли пам’ятаємо, що для нас зробив Божий Син, то радіємо великому крещендо Божої благодаті, спасіння нас і світу, і прославляємо Ісуса Христа! Отче, прихід Твого Сина вплинув на цей світ, як ніщо інше. Я дуже вдячний, що Він прийшов задля мого спасіння і прийде знову для відновлення цього світу. Радійте й славте Ісуса Христа! Мої батьки привчали мене любити всі музичні жанри – від кантрі до класики.